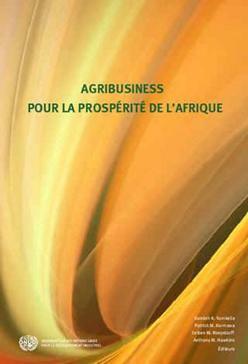 The UNIDO study "Agribusiness for Africa's Prosperity" with the chapter on "Science, Technology and Innovation in Africa's Agro-Industries"
b) to prepare as a team of experts the work for a major background study on the theme of Value Addition to Africa’s Industry and Trade. Meeting of the African Heads of State and Government in Abuja, Nigeria on the Development of Agriculture and Agro-Industries in Africa: The Heads of State and Government, the Ministers of Industry, Agriculture, Trade and Commerce, the Central Bank Governors, and Senior Experts from 42 African countries met in Abuja, Nigeria on March 8 - 10, 2010 at the High Level Conference on the Development Of Agribusiness And Agro-Industries In Africa. Also representatives of six African Regional Economic Communities, representatives of international organizations, heads of banks and finance institutions, representatives of donor agencies, of international NGOs, ambassadors, and senior experts participated in various functions at the conference. Six regional and international organizations (UNIDO, UNECA, African Development Bank, African Union, FAO, and IFAD) have prepared the event under the initiative and leadership of UNIDO. The Federal Government of Nigeria and its Acting President have supported the event. During the meeting A Programme Framework 3ADI (African Agribusiness And Agro-Industries Development Initiative) was discussed and endorsed, a new Financial Mechanism in support of 3ADI was proposed and recommended, and an Abuja Declaration On Development Of Agribusiness And Agro-Industries In Africa was discussed and adopted by the African Heads of State and Government (see the Abuja Declaration , the Photo Gallery and other conference documents ). The six African Presidents/Executive Directors of these regional African and international platform organizations have confirmed their intention and have committed themselves to develop in the next few months an Action Programme on the basis of the Abuja Declaration so as to keep momentum with the initiative and to redirect industrial and agricultural strategies and policies in Africa. Professor Karl Wohlmuth was invited by UNIDO to attend the High Level Conference as an expert. Professor Karl Wohlmuth was involved in related preparatory studies, researches, meetings and conferences in Vienna (at UNIDO) and in Addis Ababa (at UNECA). He is especially doing expert work on issues of new STI (Science, Technology and Innovation) policies which are connected to the main theme of the High Level Conference on Development. Treffen der afrikanischen Staats- und Regierungschefs in Abuja, Nigeria vom 8. - 10. März 2010 zum Thema der Neuausrichtung von Landwirtschafts- und Industriepolitiken: Professor Karl Wohlmuth nahm auf Einladung der UN-Organisation für industrielle Entwicklung in Wien an der Konferenz der afrikanischen Staats- und Regierungschefs in Abuja als Experte teil (weitere Infos, siehe die Pressemitteilung, die Fotos des Events und die Deklaration von Abuja). Comparing Agro-industrial Development Strategies in Africa: This is a project of UNIDO to find out the most suitable policies to develop agro-industries and to promote agribusiness in Africa. The country characteristics, the natural endowments and the regional interactions impact on the selection of sustainable strategies and policies. It is part of a research and advisory programme on Value Addition to Africa’s Industry by new Agro-Industrial Development Strategies that was inaugurated by the Director-General of UNIDO in February 2008. The Abuja Declaration (link), adopted at the recent Meeting of the African Heads of State and Government in Abuja, Nigeria, March 2010, reflects these new policies envisaged for Africa. UNIDO and six other regional and international organisations cooperate on these important issues. Programme and project components aim to identify suitable policy interventions at local, national, regional and global levels to stimulate in Africa value addition in industry and in agriculture. Professor Karl Wohlmuth continues to work as an International Consultant for UNIDO in the project. New Publication: Professor Karl Wohlmuth has compiled for SERG Discussion Paper Series Number 38 the most important publications from the policy-oriented research programmes of the Sudan Economy Research Group (SERG) in Bremen ( Link to SERG Discussion Paper Series). They are now brought together in a document by subject areas and in alphabetical order as they cover policy issues that can be of relevance for the economic policy formation processes in the two new Sudanese states that will emerge after the Referendum of January 9, 2011 – scheduled just a half year later after further separation negotiations on July 9, 2011. See also the Objectives and the frame of the new project “Economic Policies in Sudan after the Referendum of 2011” and the International Call for Papers on “New Economic Policies in Sudan after the Referendum of January 9, 2011”. New Industrialization Strategy for Africa based on Agriculture Development: Professor Karl Wohlmuth has consulted on, edited and synthesized a comparative study with eight case studies for the United Nations Industrial Development Organization (UNIDO) in Vienna. The study documents a new direction of industrial development in Africa – based on the development of agro-industries and agribusiness. The eight case studies (Cameroon, Ethiopia, Kenya, Mali, Nigeria, Senegal, South Africa, Zambia) represent the different conditions in Africa with regard of economic size and power, resource endowments, economic opportunities, and development level. The analyses give detailed information on the situation and on the prospects and allow it to derive policy conclusions for two economic power houses of Africa (South Africa and Nigeria), for four least developed countries (Ethiopia, Mali, Senegal, and Zambia), and for two other African (lower middle income or low income) countries (Cameroon and Kenya). It comes out that there are plenty of opportunities for the countries to benefit from a new industrialization strategy that has a particular focus on agro-industries and on agribusiness. It is also possible to realize on the basis of such a strategy multiple development objectives: export diversification, import substitution, human development and nutrition improvements, rural development, employment creation and poverty alleviation, as well as linking the agriculture and industry sectors in a future-oriented way by the instrument of integrated value chains. A Transformation Index measures the progress and the performance of these eight countries in developing agro-industries and agribusiness. The results give evidence that also the least developed and landlocked countries of Africa (like Ethiopia, Mali, and Zambia) have already successfully embarked on such a strategy and increasingly realize their development chances. The Report will be published by UNIDO. This study is part of the Abuja Initiative of UNIDO and five other international and regional organizations (FAO, IFAD, African Union Commission, African Development Bank, UNECA). The African Heads of State and Government have approved in March 2010 in Abuja the Abuja Declaration which addresses the issues of a new agro-based industrialization strategy. It was recommended at the Meeting that it is necessary to analyze more deeply the objectives and instruments to pursue such an Industrialization Strategy for Africa and to look at the potentials and strategies of African countries to develop agro-industries and agribusiness along these lines. It was proposed that suitable strategies should be based on individual country characteristics, resource endowments, local capacities, and human capabilities (see the Abuja Declaration and the link to the joint research project with UNIDO). The project started in February 2008 with a first planning meeting at UNIDO Headquarters in Vienna. The project is fully financed by UNIDO (and a component was financed by UNECA, Addis Ababa). In this project new industrial development strategies for Africa are researched in a policy-oriented manner. 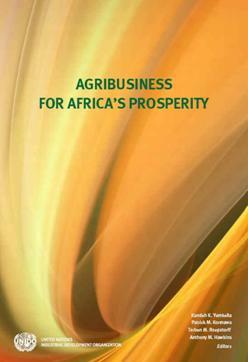 It is acknowledged that agro-industrial and agribusiness development strategies are increasingly important for Africa's economic future. African countries can gain by a shift to new policies as multiple objectives can be realized: export diversification, import substitution, employment creation and poverty alleviation, human development and nutrition improvements, a better linking of agriculture and industry sectors by the instruments of global value chains, accelerating local and rural development, and empowering small farmers and small industrial processing units. 1. Role of STI (Science, Technology, Innovation) for accelerating agroindustry and agribusiness development in Africa: STI in African countries, especially in sub-Saharan Africa, is of increasing importance for a dynamic development of agriculture and industry and for the linking of the farming sectors with processing industries. So far STI in Africa is of low importance, but some positive changes are taking place, at sub-reregional and at national levels. As an output to this project component a comprehensive background paper for UNIDO and a chapter to a book published by UNIDO were written. Workshop and conference participation in Vienna and Addis Ababa (at UNECA) were part of the activity. 2. Comparing agro-industrial development strategies in the context of the Abuja Initiative: At the High Level Conference in Abuja in March 2010 the African Heads of State and Government have approved the Abuja Declaration. The Declaration requests the African nations and the Regional Economic Communities in Africa to develop new policies and modalities for the support of agro-industries and agribusiness. Such strategies should be adapted to the individual country characteristics, the resource endowments, and the local capabilities. As an output to this project component country cases were identified (Cameroon, Ethiopia, Kenya, Mali, Nigeria, Senegal, South Africa, Zambia) and concepts for the case study analyses were developed. The country case studies (done mostly by African economists of the respective countries) were then reviewed, synthesized and edited, and Introduction and Conclusions chapters were written. A Transformation Index highlights the progress in agro industries and agribusiness of these eight countries. Part of the activity were working sessions at UNIDO in Vienna and a conference participation at Abuja, Nigeria at the Meeting of the African Heads of State and Government in March 2010. Duration of the Project: The project started in February 2008 and will be continued in 2011.